Freelancing trend and opportunities are rapidly growing in all over the world. If we talk about Indian and USA companies, then Freelance jobs are to be said as time demanding jobs right now. You can also become a successful freelancer by taking care of few things and earn easy and effective money online. Now the point is that “How to be a successful freelancer?” This is all about the topic. 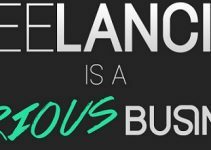 Freelancing is simply an art of defining our Specialty, our extra talent, our skills and many more things. Another way, Independent business for Independent people, that’s called Freelancing. Ans. Most of the companies prefer to take online working experience person in their staff. This is also the fact that “The Market of Internet is growing quickly, and so many opportunities have come in front of us to prove our abilities working either with this technology world in unique style, or work on the old salary based patterns.” When we can do much better than salary and packages by becoming freelancers while doing job and service, then why to miss this golden chance to earn more buckets easily! Similar thing belongs to your answer. You must be active as an Online Entrepreneur to get success, reputation and income for a lifetime. If any investment needed, then don’t you worry! It always gives you 3-4 times more than you invested. 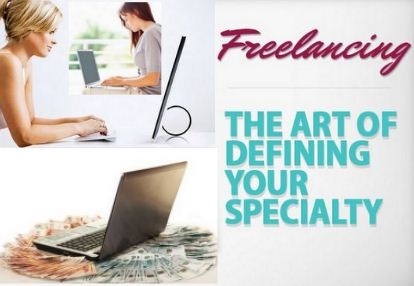 Just you need to be expertise in one of the Top Paying Freelance fields, which can show your real talent to the world and can give you unlimited income for a lifetime. Time is one of the Important factors, when you are a boss of yourself. Also, the discipline and planning is necessary in this way. For becoming a famous and successful freelancer, you need to complete work timely. This also relates your attitude and strategy of working. Make a schedule of your work and do this with your all heart. Client loves only those people, who have got the discipline in time. It also proves you professionalise instantly. Freelancers always looking for their work, In this way, they take overload working and result becomes very embarrassing at last, when they couldn’t complete the project at the right time. To manage these types of many projects, “Time Management is the key thing”. If you can manager your time, then you can complete many projects at a single time. Another view is, If you can’t able to take the client project, then reply him as negative. It won’t be wrong. In fact It will show your professionalism to your work. “Don’t be Stingy in buying a Productive tool. Productive tool will help you in freelancing for increasing your buckets. If any of the software can decrease your work load, then immediately buy it for improving productivity. Just make up your mind for buying those things, which is the necessity for the present. If you planning to invest something for the future, then beware, it may be outdated in the future. As well you should also increase your knowledge about latest technology. Because technology in freelancing matters a lot. Either you don’t meet with regular tax free salary in freelancing but, you can get all these free expenses on your rent, travel, car EMI, equipment maintenance, Internet, Telephone, Stationary and News-paper. For taking these unique benefits, you have to prepare a list of your expenses according to your project style. Social connectivity on Social Media helps you to increase your online business audience as well as old friends also. So try to increase your social contacts by the social professionals from different areas around the world. Your channels can help you to establish your good image in front of your clients. Other way, If you can’t make a website then try to build a blog with writing articles online by your own. It can also impress your clients and help you to take projects online. There is so much competition in the market. In this way, if you are working at low cost, then it directly indicates that you are compromising with quality. Hence, your reputation gets down in the market.So never ever compromise with the cost of your work. 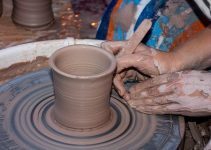 It may be possible that you have got a less work, but in this way, you will get regular and quality work. Which you can enjoy! Freelancing is a job for hopeful people. Either you get a lots of money in one month or you get a less money in another month. 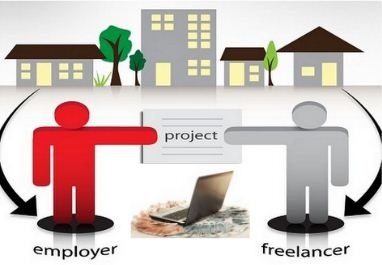 So if you only depend on freelancing, then for your happy home, less money can be dangerous. So always prefer to save money by you high income. Don’t spend money in a ridiculous way on negligible things. Each person has face odd time in his life, and this money can help him in his odd time. So Save Money and Live Happily! (I) Don’t be dependent on one income source. (II) Don’t plan things in advance before getting commission in your hands. (III) Keep learning new things to increase your online income. (IV) Improve your Quality of working and Reputation on the Online World. (V) Always give the Best results by your working. 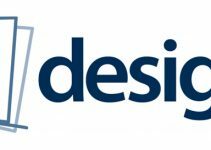 Thanks for reading this 1st deep article in Freelancing ways. Share “How to be a Successful Freelancer to Make easy Money Online” on Social Media..!! Hi Vivek, You have included very good points here, but I would like to know few things more like, from where we can get freelance work and how much we can charge for particular work. You can make your article more valuable after adding these points too. As I already mentioned in this article that I will write these all things in my next article. I have started to work in this freelancing category with this 1st article. But, many of old articles are already available here in this freelancing category. Thanks for commenting here with your valuable thoughts and Keep in touch with us for my next article in this freelancing field. The above explanation presented perfectly. I was trying to figure out may something be missing but failed to analyse. The matter of saving you focus is indeed true because of the flexibility of income. Some months you earn sufficient whereas some month is unsufficient. In that case saving is the key thing to pull every month with moderate income. Savings are must, specially If you earning money from Online ways. It may be a matter of your luck. But, as we always say, “Fortune favors the brave”. Similar concept is working here also. If you have got courage to do something with your talent and skills, then you can achieve, whatever you like. Thanks again for commenting on my post! I am studying 2nd year in I.T engg and i want to start earning my pocket money through the internet by doing projects. I know c,c++ and can develop desktop applications in c# I am still practicing to master it. I have done a few courses in ethical hacking,and open source web development. I am looking forward to freelancer projects or something like that but i never did this before so don’t know how to start.